This review is courtesy of Tracy, thanks! Learn more about Tracy below. 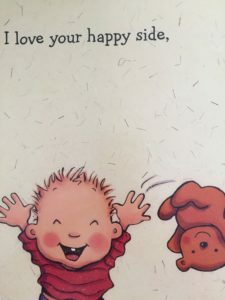 I was given this book as a baby shower gift by a dear friend when I was pregnant with my first child. 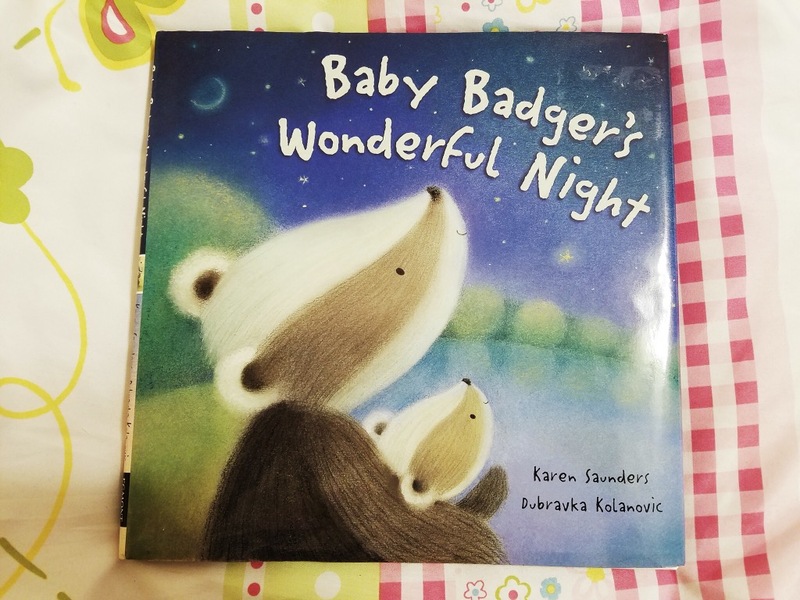 It was clear that this was a simple enough book to read to a baby and keep reading for years as they grew into a toddler. 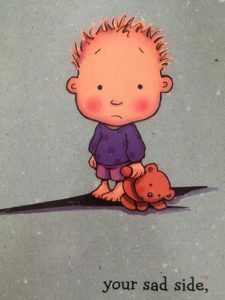 I thought the illustrations were cute and whimsical and basic enough for a very young child to understand. Also, the cadence of the words seemed so fun and easy to read. All of this proved to be true and some of the reasons why it has become one of my favorite books. The book is a simple poem to a child about all the things we love about them including their good and not so good behaviors. It rejoices in laughter and conveys love through tears. It expresses love for all the child’s physical and emotional characteristics in a warm and comical way. 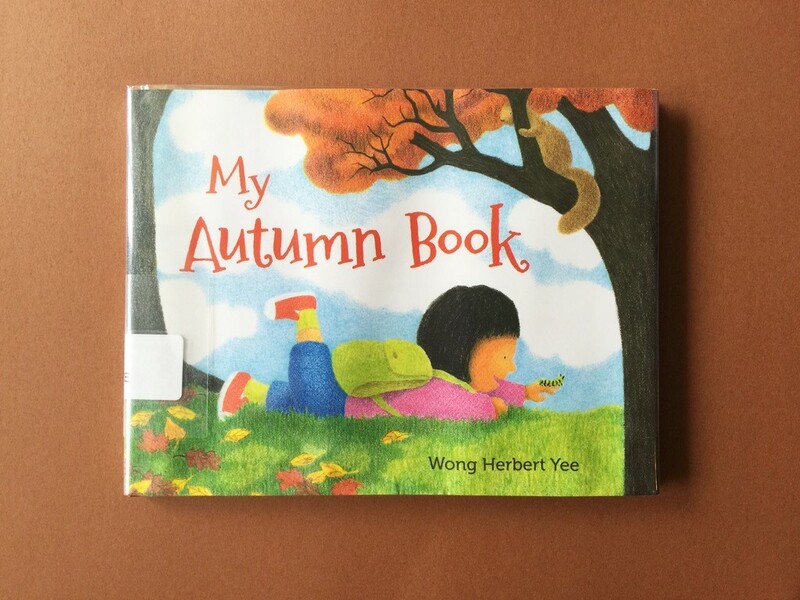 This book conveys very simply and powerfully what I think is the most vital emotion for parents to share with young children, unconditional love and acceptance. Parenting a young child is very hard, like wrangling circus animals. But it’s important to make sure they know they are loved through the good and the bad, and through all the frustrating things they do while they’re trying to figure out this crazy world. Just think of how many times a day you tell a toddler ‘no.’ No climbing on the bookshelf, no eating dirt, no hitting your baby sister. 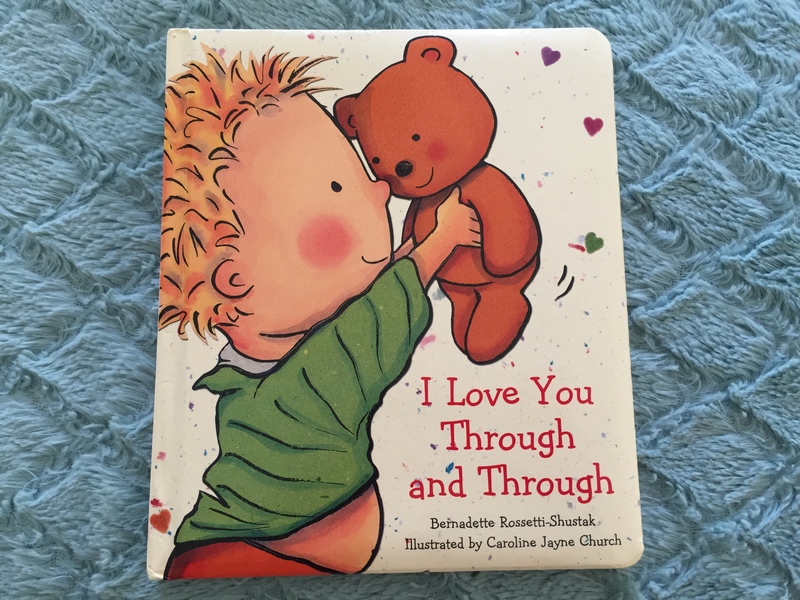 We can’t forget to also use the most important word in the English language, ‘love.’ This book helps to illustrate the incredible, indescribable, lump in your throat love that only parents can have for their children. And while this book helped me teach my kids about love, it also taught me. Reading this book regularly to my son and daughter helped remind me that love can teach so much more than anger can. It also helped me appreciate all the wonderful things about them that I wanted to hold onto forever. Because I knew their toes wouldn’t always be that tiny, their hands wouldn’t always want to hold mine, and they wouldn’t always lay their head on my shoulder when they were tired. As my kids grow older, the most important lessons I can teach them are about strength and compassion. 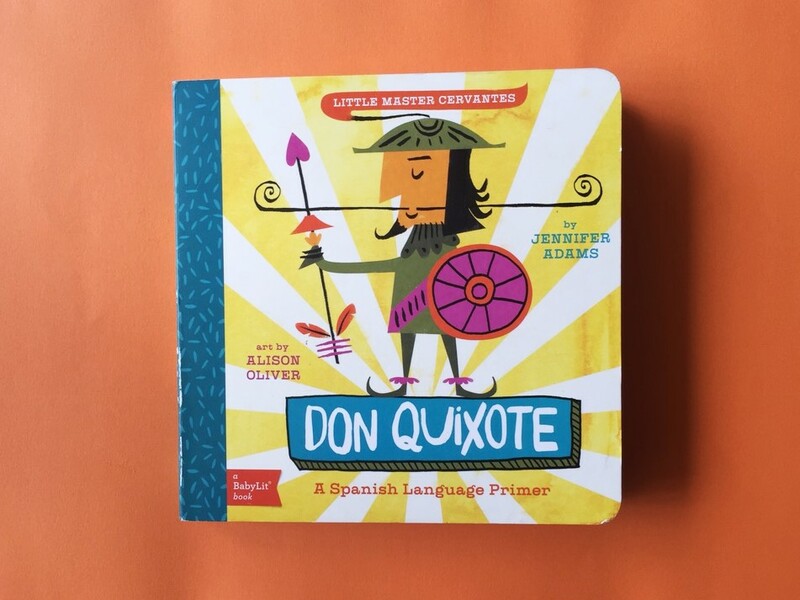 And the foundation of all of it is love, which is so beautifully illustrated in this book. Tracy Shaw is a veteran journalist who recently left her corporate career to become a stay-at-home mom for her 8-year-old son and 6-year-old daughter. Among other topics, she writes about the great resources at local libraries, how they can help families save money and engage children with fun, free activities. 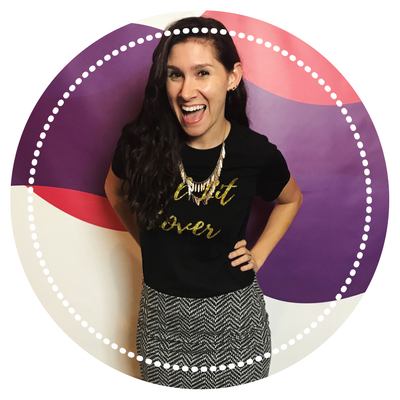 You can check out her blog, Frugal Florida Mom, and engage with her on Facebook and Instagram. 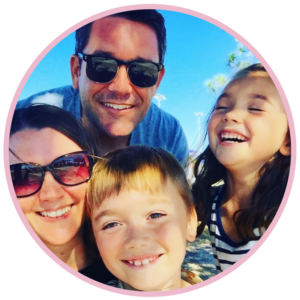 I was smiling from ear to ear as I read Tracy’s sweet review – the way she described the love she has for her children is so relatable to me. I love my own daughter through and through, and it is so important to me to show her that she is loved unconditionally. 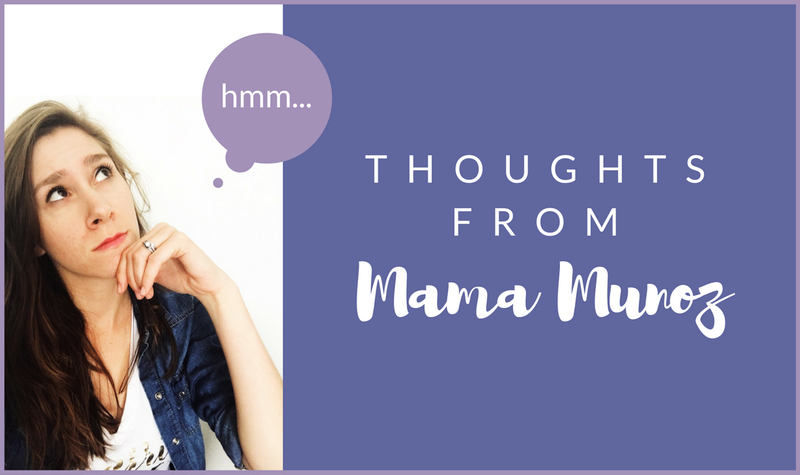 We are in the trenches right now…the toddler years, the “terrible twos” whatever you want to call it. It’s tough. There are lots of screaming fights, somewhat insane behavior (why do you insist on throwing ALL the chairs over, standing on them and prepping to launch onto your stuffed animals? ), and sleepless nights. Through it all though, I love her. I love all of the ways she is. I think a book like this is just as useful for the parent as it is for the child (as Tracy mentioned). It is easy to get stuck in the thick of it, especially when you are in the moment. Just as much as reading can be a calming activity for your child, it could also have the same impact on you. Next time you see a situation escalating and have the opportunity to grab a book like this, it may be just what you both need to calm down and get off that stress boat. It’s hard to be frustrated with your crazy little one when you’re thinking about all the things that you love about them. It reminds me of even younger days when my little one was a newborn. I told my husband all the time that God must make these children so darn cute so we could handle all of the hard parts (no sleep, constant crying, etc). 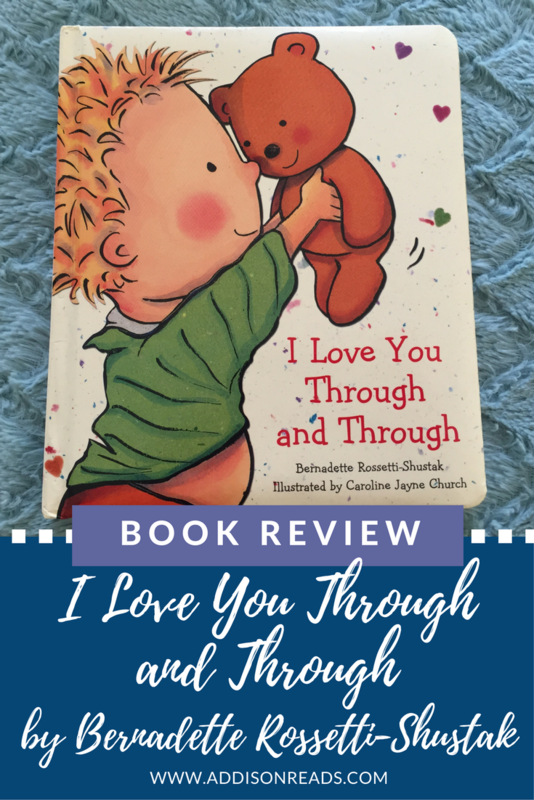 A book like I Love You Through and Through reminds us of all the cute things we love about our kids, even when they drive us nuts! IS THIS BOOK A FIT FOR YOUR INTENTIONAL BOOKSHELF™? Craving more awesome books like this one that help you be a better parent? Grab my free thoughtfully curated booklist of 50+ books that will help you parent better through literature. Sign up below and it’ll be sent straight to your inbox.